Ok, this BLOGtober series is supposed to be about fall, but bear with me just a minute. Fall is the perfect time to look back on your summer adventures. And what better way to do that than creating a wonderful memory book? 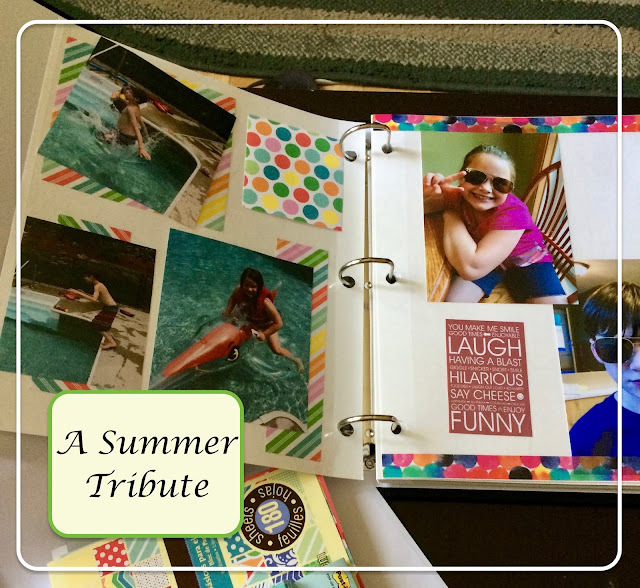 I'm not a scrapbooker, and I almost regretted starting this project after the first page. But once I got started I was pleased that I did. 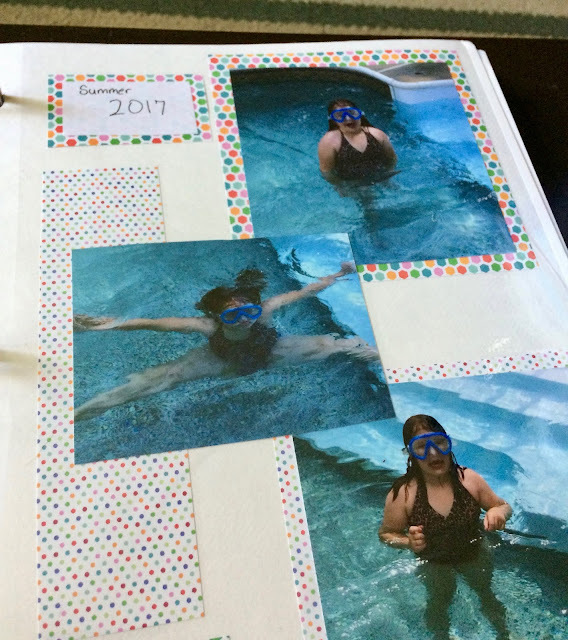 One of my goals this year was to scrapbook our photos instead of just let them float in nebulous Internet land. This is my attempt at that. I like to have pictures that the kids can look through, things we can leave out. I don't like being so tied to technology anyway. This helps with that. We had a very eventful summer and I wanted to capture all of its (good) moments so that we could look back and see that, yes, even through the absolute chaos we had a good time! It will remind my family and me how wonderful the summer was. I swear it wasn't all horrible! Don't my kids look so cool! Funny, but I think they pull it off. I'm not sure if I'll do another book like this once this one is done, but it was a good challenge to my imagination and I think it's looking good so far. So tell me, do you print pictures anymore? I stopped for a while. 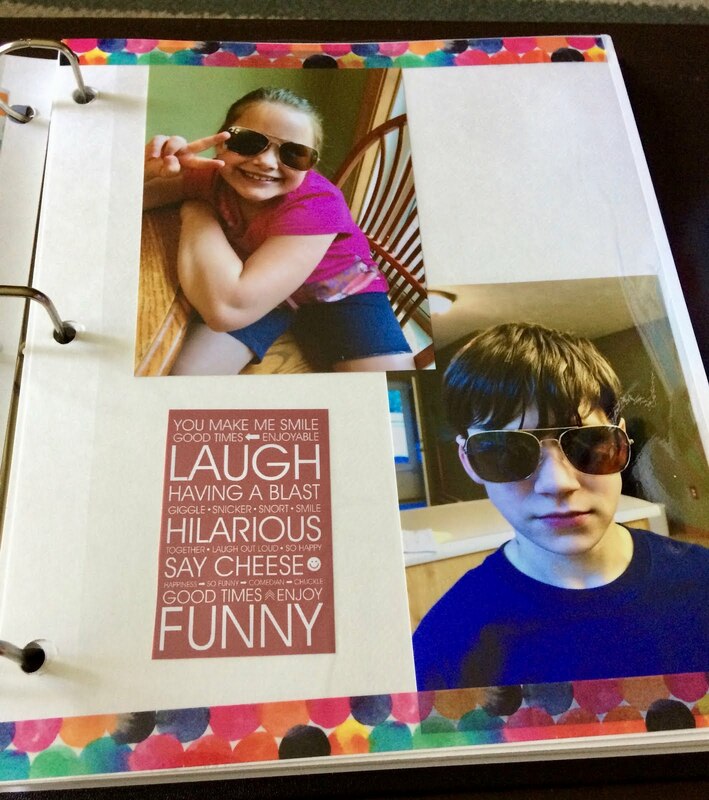 Then I made photo books using Walmart's online photo service. Now, I'm trying it the old fashioned way. What do you do? I'm participating in the Ultimate Blog Challenge! I don't print pictures but I need to as I have thousands on Facebook and in my phone. So to make sure my son remembers things we did I need to make it a point and print them out. As some of them have people like my mom who isn't here any longer in them. I think I printed too many! But I'm glad I did it. My kids really enjoy the albums and photo books we have already. And I do too! I'm no longer printing photographs, but agree that I should be. It is a challenge just to keep them all backed up and saved. Good for you, keep up with the beautiful books the old fashion way! Thanks! I need to work in it more! 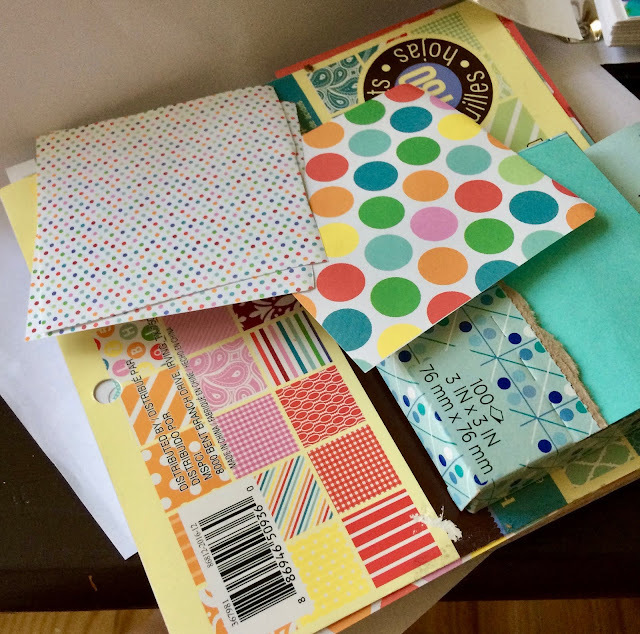 I've been trying to make a new scrap book for a few years. This is giving me incentive! Glad I could inspire you! The last scrap book I made was when my daughter was a baby. I haven't printed pic in years but had a similar idea of printing a book with room for clippings and stuff that I collected during our last couple of fun trips. Thanks for the inspiration!